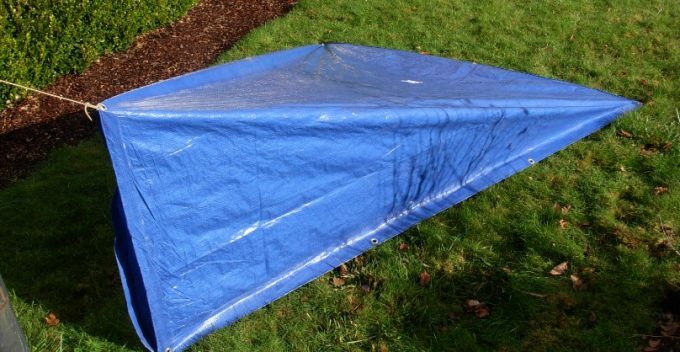 A DIY tarp tent is a great alternative to a full-fledged expensive tent. Not only does it provide a means to save a buck, but also it eliminates the need to carry heavy tent equipment on your backpacking trips. With the knowledge on how to build a tarp tent, you can embark on a lightweight backpacking trip and yet be able to address all your needs regarding a shelter. Moreover, you can build a tarp tent in a configuration that would suit the exact requirements of a situation. You would follow one configuration for protection from sun on a sunny and dry day and another on a wet and windy day; you would follow one just for yourself and another for eating with your family when it’s rainy. 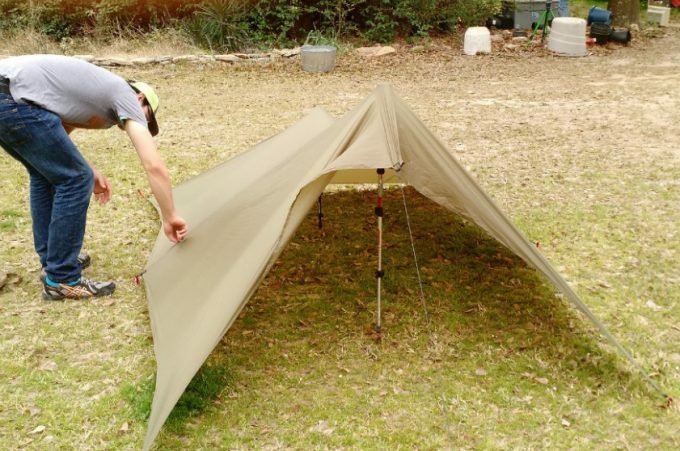 Read on to know more about how you can build a tarp tent with just a lightweight polyethylene tarp, a couple of poles or trees, a few guy lines, and some stakes. 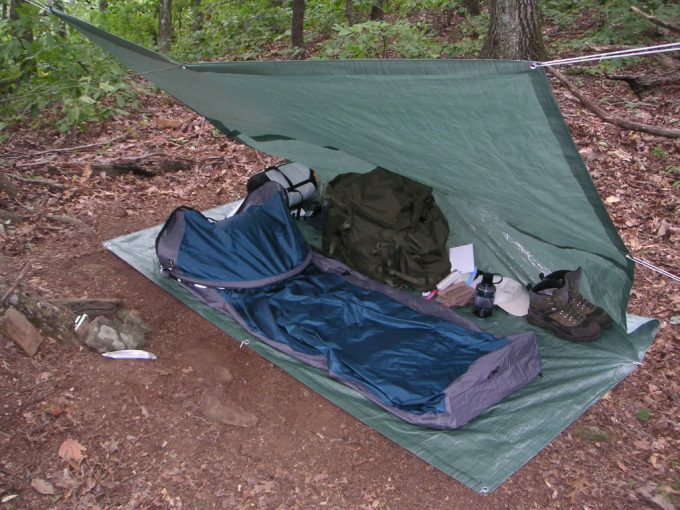 The following are a few factors you should think about before starting to build a tarp tent. 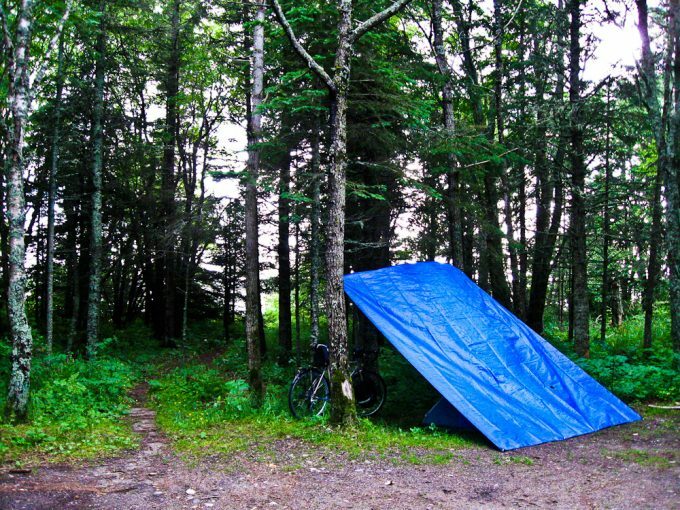 Choose the location of your tarp set-up wisely. Try to find out about the climate of the place at that time of the year. Ensure that your chosen location is free from the risk of avalanches, rock falls, landslides, high tide, and other disasters. Choose a place that is close to a source of water. Ideally, your campsite should be at a distance of 200 feet from a water source. This has some benefits including the possibility of a reduction in condensation within your tent. You may also want to set your camp up at a location away from hiking trails and game trails to ensure privacy and safety from animals. Choose ground that has a gentle slope so that rain water will not accumulate there. In case you cannot find a slope, you need to dig trenches around your tent, so water will drain. If you can get a ground with a little slope, you will be comfortable if you sleep with your head on the higher end. Also, the ground should be plain without any rocks or uncomfortable objects. Be sure to clear the ground of any debris before you start setting up your tent. You may use inflatable sleeping bags to make the situation better in case you don’t find a perfectly plain ground to stay put. There may be certain indented campsites which have been used over and over again by many campers. It is best to avoid such grounds so that you would not find yourself swamped when it rains. It would also be good if you could choose a ground that does not have rare or sensitive vegetation. Check the direction of the wind on the day of your camp and also the wind speed. It is good to set your tent up at a place when there is a little wind to aid in lessening condensation. However, you should steer clear of heavy winds, so your tarp tent would not collapse. 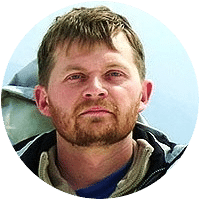 Take into account, the weather of the place and decide on a tarp tent model that would remain stable in those conditions. Make your tent as large as you need it to be. Think of what you intend to do in your tent. Do you intend to use it alone or are setting it up for more people? Choose a model of tarp tent base on what you intend it to offer. If for example, you intend to use your tarp as a sunshade on a day when you expect no rain, the sun shade tarp tent may be your model. This again depends on the result you desire. Choose a tarp in a size that you require. A tarp of the required size with many loops. The greater number pf attachment points or loops on your tarp, the better. A maximum of three guy ropes. At least four stakes. 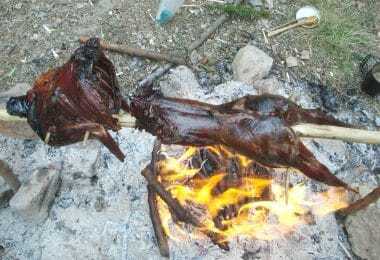 Substitute with sticks if you do not have metal stakes. 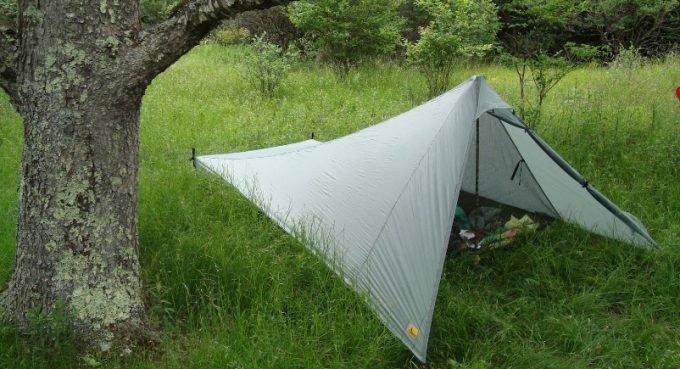 If your tarp configuration makes use of trees, you can use trekking poles or branches instead. An idea about the configuration of tarp set up you need. Now that we know where to set up our tarp and are ready with all that we need to set one up, let us discuss a few popular tarp tent set ups and see how to build each one of them. We will try to include those that are easy to build and a couple that are moderately difficult in our discussion. This is a very common kind of tarp tent, probably due its simplicity. The tarp is basically folded over at a 30-degree angle at the top. 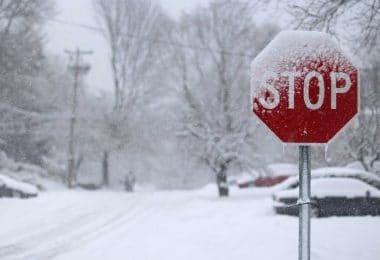 It is easy to build and provides protection from rain and snow as it allows rain to slide off its slopes. It can also protect you from wind. On the downside, it lacks a floor. It also tends to sag if the cord is not tight enough. Tightly tie a guy rope around two trees which are around ten feet apart or more depending on the length of your tarp. Throw the tarp over the cord ensuring that it is placed at the center. Secure the four corners of the tarp with stakes. This tent is quite similar to the A Frame tarp tent. It is quick to put up and take off. It provides protection against sun and the wind from one direction. This too has no floor. As it has one side, it will not be able to protect against the elements from the empty side. For easy DIY tarp tent setup, read our piece on this important topic. Just like for the A Frame tent, select two trees at a suitable distance apart or instead, use two poles. Tie a guy line around the trees or poles, ensuring that it is tight and secure. 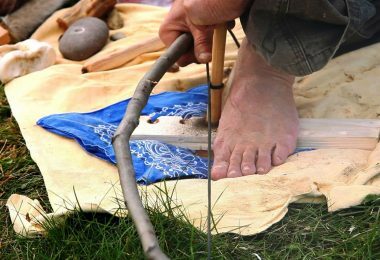 Throw the tarp over the line and secure the two ends of the tarp to the ground using stakes at the windward side. The tube tarp tent, also known as the body bag tarp shelter, is similar to the A frame shelter but has a floor in addition. It provides good protection from the elements – from sun, wind, rain, and snow. It, however, has less room. It has just enough room for a single adult. To build this tent, tie a guy line around two trees or poles at a height lower than you would do for the A frame tent. Fold the tarp over the guy line such that the ends would meet at an edge on the ground. Secure all the four ends of the floor with stakes – both the ends which meet and the folded side of the tarp. The sunshade tarp tent, also called the basic fly line roof, is just like a roof. It is constructed parallel to the ground and is primarily suited to provide protection from the sun. It can also protect from rain but is not suited for heavy rains as rainwater would collect at the center of it and make it sag. It cannot provide protection from the wind. The tent is easy to build. It needs four anchor points – poles or trees. Tie all the four corners to trees or poles. You can use two guy lines for this purpose. You can use support poles at the corners for a sturdier tent. Like we mentioned in the previous model, you can secure the sunshade tarp with poles at the four corners to make it sturdier. For this, however, you have to either carry the poles with you or find long and sturdy sticks to secure them. It is best to use four guy lines at the corners to secure with stakes. This would prevent the tarp tent from collapsing. The envelope tarp tent is yet another easy configuration. It can provide protection from the sun. It can also keep wind from a single direction at bay. It may protect from a little rain but is not the ideal tent to keep the rain away. It has a floor too. On the downside, it cannot provide protection from wind in all directions. To build this tent, find two trees or fix two poles. Tie a guy rope between both. Lay the tarp on the ground between them and secure the two corners of one end. Take the other two corners and secure them to the guy line using tie outs. Where the fold is formed on the ground, secure with two other stakes. Simply secure the four corners of the tarp with stakes. This can be used for a little ground cover where you are planning to sit and spend some time, protecting you from mud and dirt. This doesn’t provide any protection from the elements of the weather. It can be used inside other tarp tents with no floor like the A frame tarp tent. This is called a tortilla tent because of its triangular shape. This is another fast and easy set up. It can provide protection from sun and wind from one side. Use a tree or a pole and tie a guy line at around four or five feet from the ground. Spread the tarp on the ground in a diamond shape, such that one of its corners faces the tree or pole. Secure this corner with a stake. Fold the tarp in half and tie the opposite corner to the guy line at the tree. Secure the two points at the crease to the ground with stakes. The Holden tarp tent is one design that is simple and easy to make. It is a very effective model. 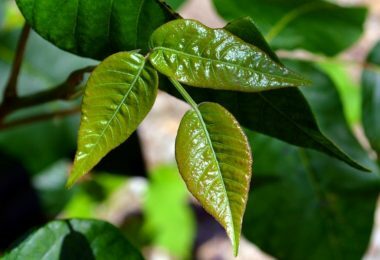 It provides protection from the sun, wind, and rain. It also does not require a lot of gear for its construction. The only little cons of this design are the absence of a floor and wind protection through the entrance of the tent. To build the Holden tent, lay the tarp on a plain ground. Secure one of its lengthy sides with stakes. Raise the center of the side parallel to this side with the help of a pole. Secure it. Secure the front corners in such a way that they are bent towards the center. Doing this will provide the most protection. The square arch tent, as its name suggests has a roof and two sides. It, however, does not have a roof. This tarp tent can fit two adults. It is easy to make but it may be difficult to find trees with the alignment required for this design. If you use poles, you will require four of these. 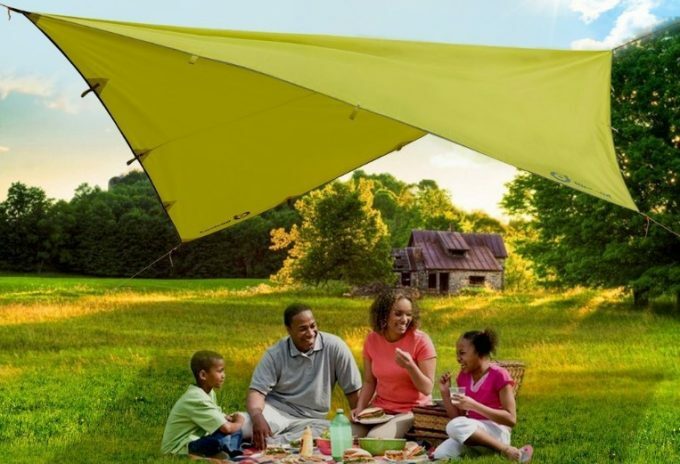 You can pull this up in a jiffy and enjoy protection from rain, sun, and wind. When you find two trees that are properly aligned with each other, tie two guy lines around them so that they are opposite each other and one of them is slightly higher than the other. Fold the tarp over the two guy ropes to form two sides and a roof that slants slightly to allow rain to slide down. Secure the sides with three stakes on each side. Check out our tips on the best hiking poles to help you setup your tarps. The bivy bag cornet tarp tent design is another easy to erect design. It just needs a tree or one pole. It provides good protection from sun, wind, and rain. It is cozy and does not have much room. It is good for a single person to snuggle inside. 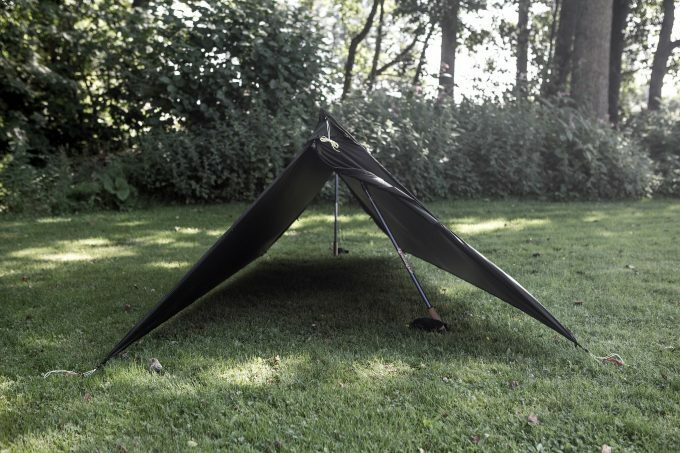 To make this tarp tent, select a tree or fix a pole. Tie a guy line to the tree or pole at a height of around four to five feet from the ground. Secure the other end of the guy line to the ground using a stake. 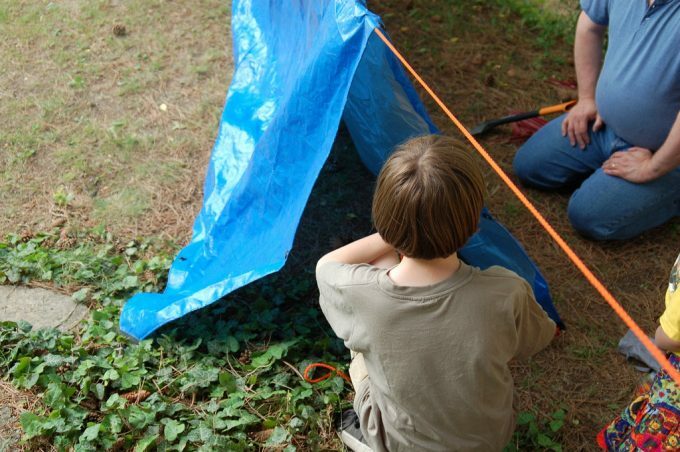 Align the tarp in a diagonal shape and throw it over the rope it that way. Stretch the corners and secure them with stakes. When done correctly, you should see that the stakes secure the side and the floor of the tarp tent. 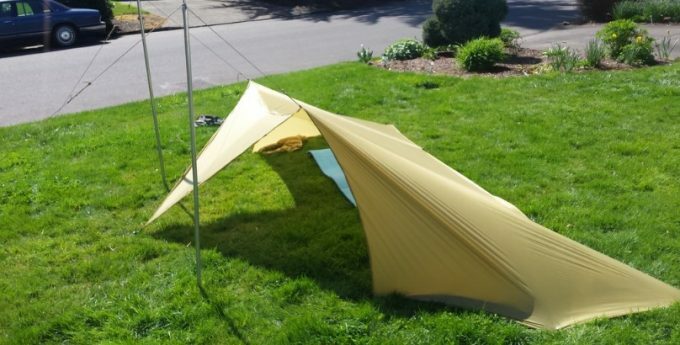 This tarp tent design may be a little tricky, but it is not extremely difficult. It requires at least four poles or sticks of uniform length, which you need to carry. Use as many tie downs as you can to keep this stable. The configuration allows protection from the wind at two sides. 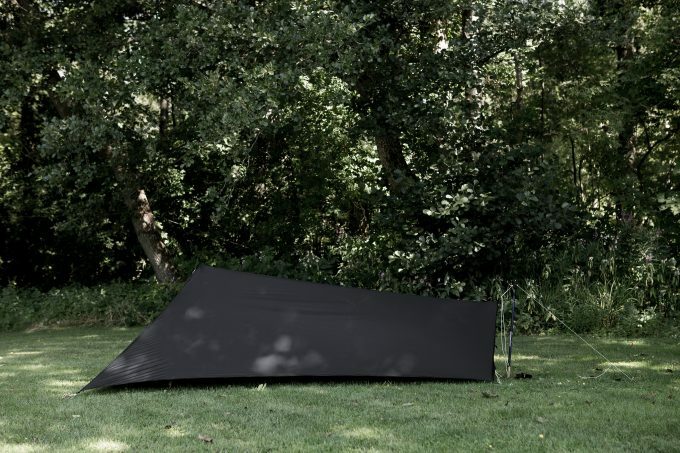 When positioned correctly, this tarp tent can provide protection from the sun for an entire day. To build it, start with the tarp folded in half. Secure one corner and the center to the ground. Now, at a perpendicular to this, secure the other corner to the ground. Fix the poles in the ground at the two corners. Fold it to form a roof. The diamond fly tarp tent, also known as the plough-point tent is another easy-to-make shelter. It can accommodate two persons though it is floorless. This is very similar to the cornet tarp tent. Like the cornet, this requires just a single tree and a guy line. It provides good protection form the rain and the sun. To build it, start with tie a guy line to the tree or pole at a height of four to five feet. Lay the tarp diagonally and secure the farthest corner to the ground along with the other end of the guy line. Drape the tarp over the guy line and secure the corners. The space you get in the tent will depend on the length of the guy line and the angle at which it is secured. 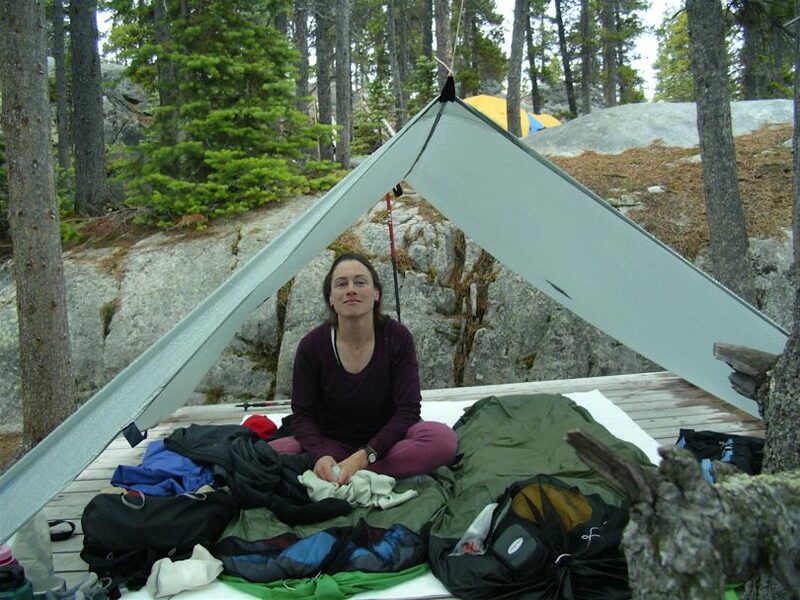 The Dining fly is a popular tarp tent design. It provides a lot of space, enough to place a table and a few chairs. It provides good protection from the sun and the rain; the slopes of is roof allow the rain to slide off. It offers good ventilation also. It does not have a floor, though. Also, it cannot provide much protection from the wind. The dining fly tent uses two poles or sticks. Its height and headroom depend on the length of the poles used. Attach the tarp at the center to the two poles secured in the ground. Use stakes to secure the poles for stability. Stake all the corners of the tarp and the sides if you have more stakes. The Wind Shed tarp tent may need a little practice to put up correctly. This tent provides good protection from the wind except from a side. It also protects well from rain. In heavy rain, though, the roof end that is hanging has a tendency to sag, thus making the floor wet. This design also needs to be secured at a lot of points. To build this tent, you need two trees or poles. Make a ridgeline between the trees and secure it with stakes. Start by laying the tarp on the ground and securing one edge with stakes or pegs. Use a guy rope to stretch the fold out. Fold the tarp over the ridgeline and allow the other edge to hang over it. Secure the corners with guy ropes and stakes. Ready for a comfortable camping trip with adequate shelter? As you have seen in this article, a tarp tent can be built in many many ways. These are just a few popular configurations that we have discussed here. There are many other ways too for the expert camper, but the ones discussed here should be sufficient for most common situations. Remember to choose a campsite with care, taking into consideration, the factors we laid out. Choose a configuration of tarp tent that would be suitable for the situation you are in and the purpose you need it to satisfy. If protection from the sun on a dry day is your main target, the sunshade tarp tent would sufficiently provide shelter for more than one person. 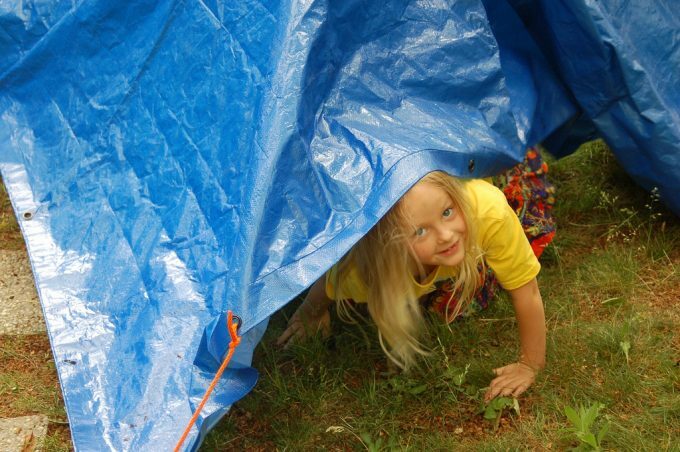 On a rainy day, the dining fly tarp tent would be great for your family. If it is just for you, the bivy bag and the tube tarp tent are good options. To give you more insight and tips on tarp camping in the wilderness, check out our must-read article on this topic. We hope you have gained enough knowledge and confidence to build a tarp tent on your next journey. 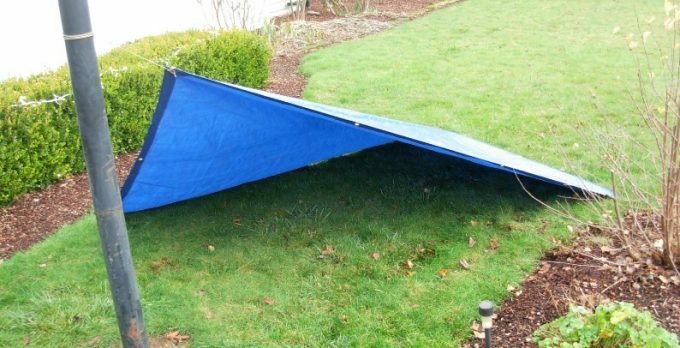 We would love to know your experiences with tarp tents you have built. Do drop a line in the comments.